May 7th – Unmissable Workshops with Alexandra & Claudiu of Melodia Project! Special Guests for this Weekend – Alexandra & Claudiu of Melodia Project! Alexandra – Ladies Styling with Body movemnt. For those of you who know Alex, this will be one of the greatest most indebpt workshop focused around not just footwork and styling but how to use your body and techniques and tips on how to practice and perfect what will be thought to you in class. It will not just be watch me then try it, Alex loves questions and wants to share her knowledge. Claudiu – This for you guys will really help you put more flavour and movement into your dancing, incorporating all this with steps that are very useable on the social dance floor, There will be ellements of Rumba & Guaguanco and by the end it should all come together nicely. As with Alex, Claudius knowledge is very deep so ask as many questions as possible to maximise the time. Alexandra & Claudiu – A really nice turn pattern focused around leading, following and allowing time for styling and body movement for both Men & ladies. Classes will all be On2 and will be focused at Intermediate Level. If you are not dancing On2 or just a beginner maybe only the First hour would be right for you. 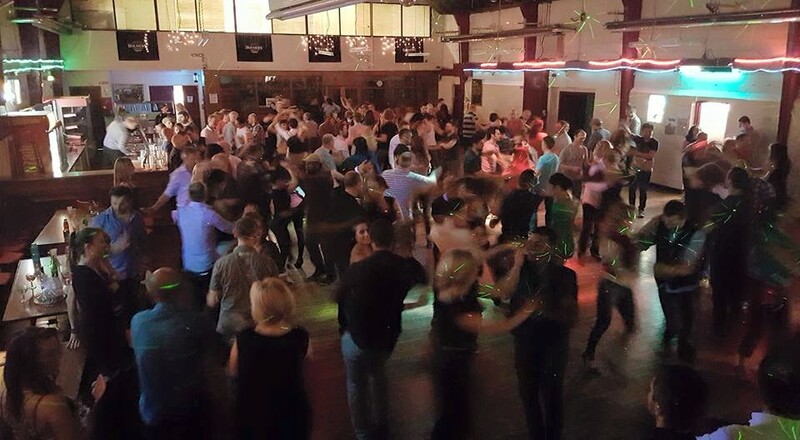 Later that night Alexandra & Claudiu will be dancing the night away at the monthly Strictly Salsa Party. Dj’s on the night Rui & DaveK, sharing the decks. February 7th – New Monthly Saturday Social! Jamil Bacha is based in London, from where he takes his distinctive salsa sounds and innovative teaching to dancers around the UK and Europe. His passion as a DJ is to play rich, expressive music that gives the dancers the canvas on which to create their dance and express themselves. He is resident DJ at the Boston Music Room, London’s leading mambo social, and is a regular guest at the world-famous Salsa On Sundays. He has also appeared at many of the UK’s top events, including Cafe Mambo in Nottingham, Smooth Salsa in Birmingham and Abanico in Bristol. This month we are delighted to be welcoming DJ Sabroso to the National Stadium who will be keeping us dancing all night long! Before coming to Ireland Pedro lived in Portugal, where he studied Media and Communications, taught dance classes, played and performed in Brazilian Music Bands. His love for Afrolatin and Cuban music and World rhythms in general started at an early stage, growing up in an environment where music and dance were always present. 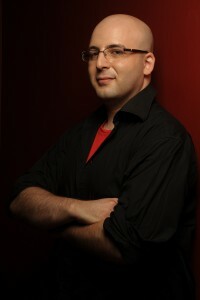 Pedro is also a musician and dancer, and currently teaches Salsa and Kizomba in Galway. He loves to share his passion about salsa (son, mambo, guaguanco, chachacha, charanga, guajira, rumba & more) during his gigs. 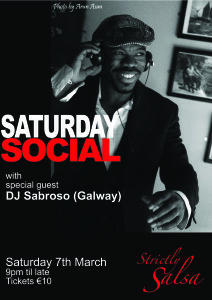 Has been a resident Dj of Salsa, Bachata and Kizomba among other genres in Ireland since 2007. He has traveled regularly to Portugal, Spain, Poland and Germany since then to dj in Salsa events, Congresses, Clubs, and More! We are delighted to welcome DJ Julian to the National Stadium for our Monthly Social! Well known to Irish Dancers from the Irish Salsa Congress Julian is a leading DJ from London – Recently Voted top regional DJ, London and the South East! Julian is also a resident DJ for Mambo City – Bravo Bravo Fridays and ULU Saturdays, TNT Dance, SOS (Salsa on Sundays), Gil & Shelley’s PEXAVA Thursday Socials, Anuba, WaHoo! and Bournbrook & Selly Oak Social Club. So – don’t miss the chance to hear this top class DJ doing his thing tonight from 9 till Late! This month we are delighted to welcome back Jamil Bacha as our DJ for next months Saturday Social! Join us this Sunday May 31st for our next Salsa Social which is a special charity fund raiser for Nepal! 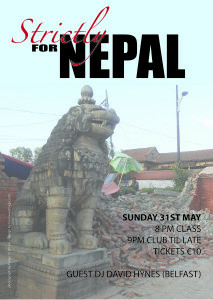 As many of you know Cynthia Martinez was in Nepal when the first of the two recent earthquakes struck so we are delighted to help her run a charity night to help raise funds to help on the ground in Nepal. 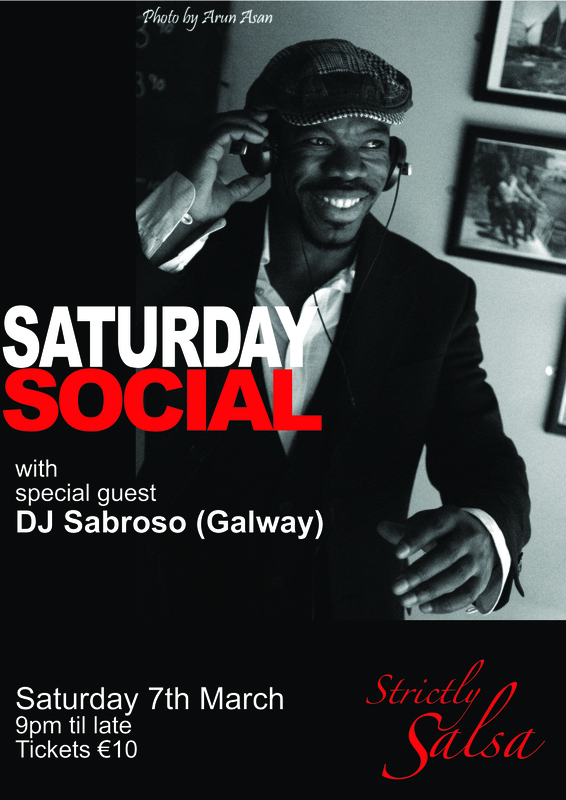 The club with start at 9pm till late with music on the night provided by David Hynes who is joining us from “up north” and DJ Angel Moore from Salsa Dublin. During the party there will be be a raffle for some very nice prizes and we also have shows from Mona and Juarez and the Bachata Fever Student Group so make sure you bring some extra money, its all going to a great cause. 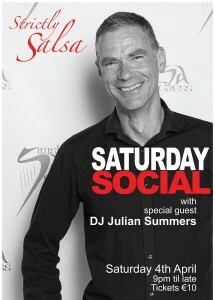 June 6th – Monthly Saturday Social with Dave Keeler & Salsa Dublin Student Group! This month due to the fact that we were running a charity night last Sunday we’ve decided to keep things nice and simple for our Strictly Salsa Social! We are going to start the night with an all levels Cha Cha Class at 8PM Followed by the club from 9 till 1. The team at @Salsa Dublin have been bringing over some amazing teachers this year to run weekend choreography courses for their students and we are delighted to be welcoming the group that did the Karel & Marco choreo course to perform at this months Salsa Social! Originally from Venezuela, DJ Tuli has been spinning Salsa, Mambo, Cha-Cha and Bachata tunes in London and its surroundings since 2009; working for some of the best salsa organisers in the UK. 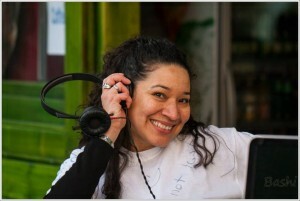 She has been resident DJ for the likes of Mambo City, Pexava, Incognito Dance, Palladium Mambo, Salsa Bachata Social Club in Reading and has been guest DJ in previous years for Metroltina, Salsa Contigo UK, Ritmo Latino, as well has having had the privilege to DJ at one of London’s most famous club: Ministry of Sound. We are delighted to be welcoming her back to Ireland for our monthly social coming up on the 8th of August so please come along and enjoy a night of great tunes with great friends! October 31st – Strictly Salsa Halloween Party! December 19th – Strictly Salsa Christmas Party!